Canada, now a 2x winner, for attempting to answer questions in the most evasive manner possible. The delegation stated the reason for opposing the listing is that they can manage it safely. They could not say that it is a purely political reason. At the same time, Canada stated that the recommendation of the scientific Chemical Review Committee was adequate and all criteria are met. “We think that the CRC DGD document was appropriate and the criteria was met. Canada is not in a position to support the listing.” Supporting the CRC document (scientific review) while not being able to support the listing, suggests some political reason, not scientific. Brazil, for not having any position on the listing of chrysotile asbestos, although they are the third biggest producer and exporter of the world. Brazil could have taken the lead on producing countries to go for listing, but for many years the Brazilian ministries have continued to discuss their position, with little progress. It is important for Brazilian citizens to know where their country stands, and the responsibility that comes with being a major exporter. African Region, for making outstanding statements. They were pushing the Canadian delegates to reveal the reason for opposing the listing, not letting them get away with repeating meaningless answers. And also for their constant demand that the convention should not be undermined for economic or political reasons, for the sake of the protection of the health of people in their countries. I still remember the shock and dismay I felt walking through the ByWard Market in 2005, when I noticed newspaper headlines announcing that Chuck Strahl had been diagnosed with a deadly form of asbestos-related cancer. Not only was Strahl fit and strong (fortunately, he still is), he was a well-liked Reform, then Conservative, MP and, subsequently, a successful cabinet minister in a number of posts. He decided not to run in the last election - his son Mark took over his B.C. seat on May 2 - and has returned to Chilliwack, his cancer apparently in remission. This memory makes Prime Minister Stephen Harper's adamant support for Quebec's asbestos industry in recent weeks seem even more confounding and cold. After all, within his own cabinet he had sobering evidence of the cost of unprotected exposure to asbestos. Strahl was exposed to the carcinogen as a young man operating huge logging vehicles with asbestos-clad brakes in the B.C. interior. In those days, he recounts, wearing protective gear was considered insufficiently macho and the dangers of breathing in asbestos fibre not as well known. Decades later he was diagnosed with mesothelioma, a form of lung cancer that usually kills its victims within a few years - a shocking prognosis for a regular jogger and non-smoker. With the help of his family and strong Christian faith, however, Strahl beat the odds and played an active role in cabinet until his retirement. Throughout his ordeal, he never wanted to be a poster boy for asbestos-related cancer or mount, as he wrote this week, "a personal crusade." Nor does he favour an outright ban, even today. However, he issued a cautious advisory to his old government this week, calling it "logical and right" to add chrysotile asbestos to a UN list of substances that need to be handled with care. The Canadian delegation was undoubtedly acting on instructions from the prime minister - and over growing objections both inside and outside government. With India (which imports a lot of Quebec asbestos) and Ukraine withdrawing objections, Canada is left in the embarrassing company of Vietnam, Kazakhstan and Kyrgyzstan in defending a product so dangerous it is being carefully removed from 24 Sussex and the Parliament buildings. And all to defend fewer than 400 jobs in Quebec. Harper made it clear on a campaign stop in Asbestos, site of Canada's last active mine, that he wasn't going to interfere in the sale of a legal product. As he put it: "This government will not put Canadian industry in a position where it is discriminated against in a market where sale is permitted." This is both libertarian gospel and political calculation. Industry Minister Christian Paradis, who comes from Thetford Mines, has long insisted chrysotile asbestos can be safely used "in controlled circumstances." This claim has been roundly rejected by medical and scientific experts, including Peter Goodhand of the Canadian Cancer Society, who insists "all forms of asbestos, including the chrysotile asbestos mined in Quebec, cause cancer." As for "controlled" environments, there is ample evidence developing countries, like India, pay no heed to safety, and that Indian workers, like the young Chuck Strahl, are being directly compromised. But Harper seems to imply it isn't our concern. His indifference is strangely at odds with his moral, even moralistic, approach to foreign policy generally. He famously refused to remain silent on China's human rights abuses despite potential trade repercussions, yet is prepared to isolate Canada internationally to prop up a dying industry. This may have something to do with Premier Jean Charest's promise of a $58 million loan guarantee to the industry to restart the Jeffrey Mine in Asbestos - an offer dependent on the mine's backers rounding up $25 million by July 1. Further international restrictions on exports - even in the form of safety warnings - could make raising the money more challenging. For 30 years, provincial and federal governments of all stripes have supported asbestos mining for fear of losing seats in Quebec. But the recent NDP sweep in that province suggests the tide is turning, given that party's forthright opposition to the industry. Two Conservative MPs - Mark Warawa and Patricia Davidson - have also been discreetly questioning asbestos exports, which suggests the Harper decision isn't resting easily on every Conservative conscience. Even federal Liberals are belatedly opposed. Unlike the seal hunt, which harms no one but the seals, or the tarsands, which are environmentally damaging but economically important, there is no justification - moral, political or economic - for continued federal support for the asbestos industry. But we should never discount one man's stubbornness. Susan Riley writes on national politics. E-mail: sriley.work@gmail.com. PUTTING money ahead of lives, the federal government has again blackened this country’s name around the world by leading efforts aimed at suppressing warnings about the documented health risks of asbestos, a known carcinogen. At a United Nations summit in Switzerland this week, Canada and three other countries — Kazakhstan, Kyrgyzstan and Vietnam — voted against listing chrysotile, or white, asbestos in Annex III of the Rotterdam Convention on hazardous materials. 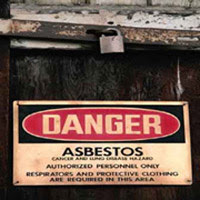 That listing would have compelled asbestos producers in countries such as Canada to warn importing nations of the health risks associated with the cancer-causing substance, permitting those states to block those imports. Because changes to the global agreement must be by consensus, Canada’s opposition, as it has many times in the past, killed the hopes of asbestos opponents to at least bring informed consent into the global asbestos trade. The Conservative government’s argument that asbestos, safely handled, poses no danger to those using the deadly material reflects unconscionable hypocrisy. Many health organizations and medical experts reject the notion that asbestos can be safely handled. Even if you accept that concept, however, Conservative politicians surely know that foreign workers in many large asbestos-importing countries, such as India where it’s used to make cement, often handle the material without adequate, if any, safety precautions. Many Quebec provincial politicians, who also support the asbestos trade, as well as the industry itself, are equally guilty of putting economic interests ahead of any concern for human lives. Canada’s staking of its banner on the side of ignorance and death this week is all the more shameful considering that two other long-time opponents of listing asbestos in Annex III, India and Ukraine, changed positions this year and supported its inclusion. Heightening the hypocrisy of this country’s position is that asbestos is largely banned from use in Canada. Imagine, here in one of the most developed nations on Earth, where, one would think, the "safe handling" of white asbestos that Conservatives blithely champion must surely be possible, workers are mostly forbidden to touch the stuff. VANCOUVER – Last week Conservative MP Nina Grewal accused Canadians opposed to exporting asbestos to “third world countries” of having a “colonialist attitude”. The accusation was made in an email reply to a citizen who had written MP Grewal, urging her to support the inclusion of Chrysotile asbestos on a United Nations list of hazardous substances. “I find it offensive when people in Canada imply that the Indian government is incapable of protecting its own citizens. This colonialist attitude is unbecoming of Canadians.” said Grewal in the email. However, on Wednesday at the United Nations meeting in Geneva, India supported the listing of Chrysotile asbestos as a hazardous substance. In response Canada quickly opposed the listing, effectively ruining a near international consensus. Canada is the only G7 country still producing and exporting asbestos. Canada blocked an attempt by India (and other developing countries)on a world stage to protect their citizens from the dangers of asbestos. The Progressive Intercultural Community Services Society condemned Grewa]l’s comments in light of India speaking up for its own citizens by declaring that asbestos should be declared a hazardous substance. But when India spoke up this week it was Grewal’s own government that was still opposing it as a hazardous substance. Based on MP Grewal’s own words, it would now seem that it is in fact the Harper government that has the colonialist attitude. This government’s behaviour in Geneva has been deeply shameful. 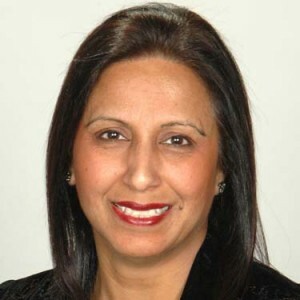 Conservative MP calls asbestos Regulation "COLONIALIST"
VANCOUVER - June 20, 2011 – Last week, Conservative MP Nina Grewal, accused Canadians opposed to exporting asbestos of a having a “colonialist attitude...unbecoming of Canadians”. The accusation was made in an email reply to a citizen who had written MP Grewal, urging her to support the inclusion of Chrysotile asbestos on a United Nations list of hazardous substances. Her reply was quickly forwarded to Aneil Jaswal, a BC based policy consultant on health issues and a passionate asbestos activist. “MP Grewal’s accusation is a ridiculous attempt to defend a policy which has very serious impacts in countries like India. If this is the Harper government’s reasoning for blocking UN attempts to regulate asbestos, this is worrisome indeed. What is truly unbecoming of Canadians, is that this government continues to pretend that Canada is not responsible for the health impacts of our asbestos” said Jaswal. The Indian Association of Occupational Health and all the major trade unions in India have directly called on Canada to stop exporting asbestos. This past year in Bihar, India, villagers and youth organized protests to keep an asbestos factory out of their community and faced fire from police as a consequence. & Occupational Health India (OHI) had the following to say about MP Grewal’s comments. Starting tomorrow, June 20th, the United Nations will be meeting in Geneva to decide whether to include Chrysotile asbestos on a list of hazardous substances. If included, this would not ban the trade of asbestos, but simply ensure “prior informed consent” has been obtained for all export. 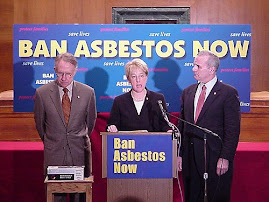 In 2006, the Canadian government spearheaded efforts to prevent the listing and the Harper government is unlikely to speak out in support of listing asbestos at this conference. Mr. Jaswal is the Director of The Cancer Culprit Awards, a daily award that will be handed out at the UN conference to the countries which most impede negotiations. 24/6/2011New Delhi/Patna: Ban Asbestos Network of India (BANI) Welcomes India's dramatic change in position at the UN Meet on Hazardous Chemicals in Switzerland unlike Canada, Kazakhstan, Kyrgyzstan and Vietnam who voted against listing chrysotile asbestos or white asbestos in Annexure III of the Rotterdam Convention on hazardous materials.The list makes it legally compulsory for asbestos producing countries to warn importing countries of the health risks associated with the cancer-causing chemical. 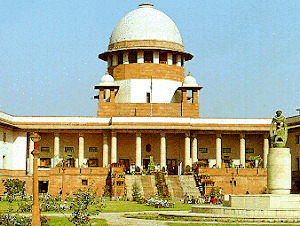 Indian Government reversed its past opposition to its listing. The fifth meeting of the Conference of the Parties (COP5) to the UN's Rotterdam Convention on the Prior Informed Consent Procedure for Certain Hazardous Chemicals and Pesticides in International Trade underway in Geneva, Switzerland concludes today. The meeting which commenced on 20th June dealt with the possible inclusion of four new chemicals including Endosulfan and Chrysotile Asbestos in Annex III to the Rotterdam Convention. Meanwhile, international unions and Indo-Canadian Community has denounced Canadian Government's support for Chrysotile Asbestos based companies at COP5. Environmental groups in India have severely criticized the irresponsible act of Canadian government to adopt a colonial attitude of criminal callousness in the matter of incurable diseases caused by Canadian asbestos mined in Quebec and traded world wide. BANI deprecates the stand of Canadian Government which is akin to supporting slow poisoning of citizens in India and elsewhere. On 22nd June, 2011 Indian Government supported the listing of Chrysotile asbestos as a hazardous chemical substance while Canada opposed it. India ratified the Convention on 24th May 2005. The act of becoming a Party to the Convention does not in itself obligate other Parties to ensure that there are no exports of the chemicals listed in Annex III to your country. To guarantee this, the Parties needs to provide the Secretariat of the Rotterdam Convention with Importing Country Response for each of the chemicals listed in Annex III of the Rotterdam Convention stating that no consent for each one. The Convention aims to promote shared responsibility and cooperative efforts among Parties in the international trade of certain hazardous chemicals in order to protect human health and the environment from potential harm. It also contribute to the environmentally sound use of those hazardous chemicals, by facilitating information exchange about their characteristics, by providing for a national decision-making process on their import and export and by disseminating these decisions to Parties. The 46 page current text of the Rotterdam Convention includes the amendments adopted by the First Meeting of the Conference of the Parties (Geneva, 20 - 24 September 2004) and the Fourth Meeting of the Conference of the Parties (Rome, 27 – 31 October 2008). The Convention promotes the exchange of information on a very broad range of chemicals. The text of the Rotterdam Convention was adopted on 10 September 1998 by a Conference of Plenipotentiaries in Rotterdam, the Netherlands. The Convention entered into force on 24 February 2004. BANI observes that the inclusion of chrysotile asbestos in Annex III list of chemicals is not an invitation for Indian Government to ban their use. The purpose of the prior informed consent procedure is to allow India to make their own informed decisions on future imports of the chemical depending on their own needs, circumstances and uses of the chemical. However, if Indian Government decides not to allow any future import of chrysotile asbestos, then it must also ensure that any domestic manufacture and use of the chemical is banned. In view of such requirements, BANI demands that Government of India should ban the domestic manufacture and use of the chrysotile asbestos along with its import after its support for listing of this lethal mineral fiber in the UN list of Hazardous Industrial Chemicals. This decision alone can take Indian Government's decision to its logical end. Is Bihar’s Deputy Chief Minister Listening? New Delhi/Patna: Ban Asbestos Network of India (BANI) Condemns Quebec and Canadian Government’s anti-public health, anti-environment and anti-worker stance in the matter of list of Chrysotile Asbestos as a hazardous chemical. BANI appreciates Government of India for taking this long delayed step to join the international consensus against chrysotile asbestos. In a statement, Rotterdam Alliance states that the industry prefers that people are not given the information that chrysotile asbestos is hazardous. Chrysotile (serpentine forms of asbestos) is being proposed to be included in the Prior Informed Consent (PIC) procedure as an industrial chemical at the UN's fifth meeting of Rotterdam Convention on the PIC Procedure for Certain Hazardous Chemicals and Pesticides in International Trade in the conference. Its listing is based on the final regulatory actions to ban or severely restrict its use due to its impacts on health as notified by Australia, Chile and the European Union. Amidst growing incessant demand for ban on trade, manufacture and use of chrysotile asbestos, Government of India’s delegation in Geneva, Switzerland announced that they had reconsidered their opposition and would support listing of chrysotile asbestos in the UN list of hazardous chemicals. BANI, an alliance of public health researchers, human rights and labour groups welcome Government of India’s support the inclusion of Chrysotile (white) asbestos in Annex III (PIC list). It is indeed a dramatic breakthrough that would pave the way for ending the deadlock over the inclusion of Chrysotile Asbestos in the PIC list and eventually for complete ban on the killer fibers. Approximately 50, 000 people die every year in India due to asbestos related cancer. But so far Government of India has failed to take a pro-people’s health position and a scientific stand on the import of chrysotile asbestos whose mining is technically banned in India. The Chemical Review Committee of the Rotterdam Convention has recommended inclusion of Chrysotile asbestos twice. It is now being considered for the third time. Under the negative influence of Canada and other chrysotile asbestos producing countries, Government of India has been blocking its inclusion citing industry sponsored studies since 2004. So far it has been according priority to the profit of chrysotile asbestos companies instead of protecting environmental and occupational health. opponents to listing about their specific concerns. Canada has confirmed that it would not join any consensus on listing chrysotile asbestos. A small drafting group was formed to draft an accompanying decision to one listing chrysotile asbestos in Annex III, to request parties and all other stakeholders to promote information exchange on measures to minimize risks and on alternative substances in order to facilitate potential agreement. When the small drafting group announced no consensus had been reached on listing chrysotile asbestos, decision was deferred at least till the conclusion of the COP5 on 24th June. BANI hopes that the delegates at COP5 will be able to persuade Canada to change its position before the meeting concludes. Under the theme “Rotterdam COP5: PICturing Chemical Safety, PICturing Informed Decisions”, the conference is considering measures to strengthen implementation of the globe’s first line of defence for chemical safety. In order for COP5 to be deemed successful, it is very important that chrysotile asbestos is listed on Annex III of the convention. If that happens, "Prior Informed Consent" will become mandatory before chrysotile asbestos producing countries such as Canada and Russia can export this killer mineral fiber. Environmental groups like BANI have been making incessant demand for the listing of Chrysotile Asbestos in UN List of Hazardous Chemicals List. India's National Human Rights Commission (NHRC) has admitted an application and registered a case with regard to the phase out of the chrysotile asbestos based industries and its listing as a hazardous chemical, a fact which has wrongly been disputed by Bihar’s Deputy Chief Minister, Sushil Kumar Modi. The UN Meet on Hazardous Chemicals vindicates BANI’s position which has been demanding closure of chrysotile asbestos based plants in Bhojpur, Vaisahali and Muzaffarpur. Indian states like Bihar, Andhra Pradesh and others where new chrysotile asbestos based plants are proposed will now have to abandon their plans. Toronto – Canada’s decision to oppose the listing of chrysotile asbestos, a known carcinogen, under the Rotterdam Convention at the meeting of the Parties in Geneva this week drew strong negative reaction today from the Canadian Environmental Law Association. Canada maintains its opposition to listing the substance despite repeated recommendations by the Rotterdam Convention’s expert committee to list chrysotile asbestos. CELA has repeatedly called on the Canadian government to support adding the substance to the Convention’s list of substances which require prior notification of their toxicity before export or importing. On the third day of negotiations, Canada’s position to oppose the listing of chrysotile under the Rotterdam Convention has finally been revealed. In the lead up to today’s session, Canada had been silent on its position as to whether or not chrysotile asbestos should be listed under the Convention, leaving other exporting countries, such as Kazakhstan and Kyrgyzstan, to voice their opposition to listing. Canada’s continued opposition was revealed shortly after several countries, including India and Ukraine, expressed their support for listing. The position taken by India is the first signal of a change in position by a country that has opposed listing of chrysotile at previous meetings of Rotterdam. Other exporting countries, such as Brazil, have also been silent. Canada’s refusal to change its position and support listing is very disappointing to CELA and many others who have been working to ensure that it is included under the Convention. The listing to Annex III of the Convention triggers requirements to exchange information on the toxicity of hazardous substances between countries and establishes a mechanism for countries to refuse entry of hazard substances for the protection of people. The lead up to the negotiations on the Rotterdam Convention has been blanketed with secrecy from the Canadian government on its position to list chrysotile asbestos. Letters to the Canadian government from organizations and individuals within Canada and worldwide expressed the need to support listing of chrysotile asbestos to the Rotterdam Convention because of the health impacts associated with this substance. Canada told the world Wednesday it opposes placing limits on the export of chrysotile asbestos — a "bombshell" expected to derail international efforts to list the mineral as hazardous. The head of the Canadian delegation at a United Nations summit in Geneva made the statement late Wednesday after a consensus was emerging to label the known carcinogen mined in Quebec as hazardous. If chrysotile asbestos is listed on Annex III of the United Nations' Rotterdam Convention, "Prior Informed Consent" would be required before countries could export the mineral. After being informed of the hazards, developing countries that import asbestos could refuse to accept the potentially cancer-causing material if they believe they could not handle it safely. Until Wednesday's declaration, the Canadian delegation had remained silent — fuelling speculation from anti-asbestos campaigners that Canada was letting a handful of other countries do its "dirty work." The stunning development — confirmed by the UN Environment Program and characterized by the Montreal-based Chrysotile Institute as a "bombshell" — appeared to contradict statements made by Natural Resources Minister Joe Oliver just a day earlier, when he told reporters in Ottawa that the question of Canada's position was "moot" because four other countries — Vietnam, Kazakhstan, Kyrgyzstan and Ukraine — had already spoken up against the listing. 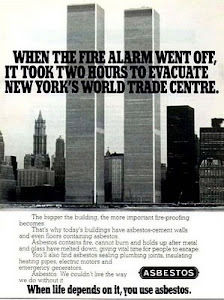 Under convention protocol, unless consensus among countries is achieved, chrysotile asbestos remains off Annex III. The UN meeting ends Friday. When pressed by reporters about the possibility of a consensus emerging in the face of Canada's silence, Oliver also suggested Tuesday that the federal government would accept the listing. "If they want it to be listed, then it will be listed," he said. But on Wednesday, India, a major importer of Quebec asbestos, announced it would support the listing after remaining quiet. As with Canada at past meetings, India either opposed the listing or remained silent, despite a long-standing recommendation of the convention's expert scientific committee that chrysotile asbestos, already banned in many countries, be placed on the list. Then, Ukraine indicated it could accept the hazardous listing. Following this development, the head of the Canadian delegation, David Sproule of the Department of Foreign Affairs and International Trade, intervened to pronounce Canada's objection. Madhu Dutta, an anti-asbestos campaigner from India who is in Geneva to observe the UN proceedings, said Canada's manoeuvre on Wednesday was outrageous. "Canada was hiding behind the smokescreen of dissenting voices of smaller exporting countries and a 'non-consensus' excuse, but when it sensed that there might be a consensus and chrysotile will be listed, it broke its sinister silence and said no," Dutta told Postmedia News from Geneva. Guy Versailles, a spokesman for the Chrysotile Institute who is also attending the UN summit, also said it looked like Canada broke its silence only after it appeared a consensus was emerging. Versailles called Ukraine and its partner, Russia, "heavyweights" at the negotiation table that "could carry the day, but I'm not sure Vietnam could have. "So when they reversed their position, or were appearing to reverse their position, Canada spoke up," Versailles told Postmedia News. The Chrysotile Institute, a government-funded organization that promotes the safe use of chrysotile asbestos, opposes the listing of the mineral on Annex III. Versailles said the listing would likely result in a de facto ban of exports of chrysotile asbestos, which is now exported to developing countries after the Western countries shut their borders to the mineral a generation ago. Between 1979 and 1984, a worldwide recession and a growing scientific consensus linking asbestos exposure to cancer led to a dramatic reduction in industry revenues — to $400 million a year from about $800 million — and a drop in Canadian jobs to 4,000 from about 8,000. Today, there are between 450 and 500 asbestos mining jobs left in Quebec, although that number could increase if a planned expansion of the Jeffrey mine proceeds, Versailles said, adding that half of the additional production of the expanded mine is slated to go to India. "It's Canada's hypocrisy. We were hoping other countries were going to do our dirty work by allowing them to stand in the way of listing asbestos as a dangerous substance, which everyone knows it is. India, in particular, backed away, and Canada was left on the hook, so Canada had to go to the mike and prove the minister a liar," said NDP MP Nathan Cullen. Oliver released a statement Wednesday offering a different perspective. "I have been clear that our government promotes the safe and controlled use of chrysotile, both domestically and internationally. Our position at Rotterdam clearly reflects the government's policy of the past 30 years." 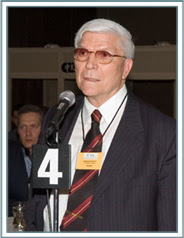 Canada has just been given a Cancer Culprit award for sabotaging the Rotterdam Convention by obstructing the listing of chrysotile asbestos as a hazardous substance. Of the 143 Parties to the Rotterdam Convention, only five opposed the listing of chrysotile asbestos when the issue came before the plenary session yesterday – Ukraine, Kazakhstan, Kyrgyzstan, India and Vietnam. A special contact group was therefore set up to try and resolve the crisis. The group was on the verge of achieving consensus to list chrysotile asbestos, with India and then the Ukraine having reversed their position and now supporting the consensus to list chrysotile asbestos. At this critical point, on the verge of successful consensus, Canada suddenly announced that “CANADA IS NOT IN THE POSITION OF SUPPORTING THE LISTING OF CHRYSOTILE ASBESTOS IN ANNEX 3, IT IS UNABLE TO DO SO”, thus killing the emerging consensus. Canada was the only country at the emergency group meeting today who spoke up and refused to accept the basic scientific fact that chrysotile asbestos is hazardous and that users should be informed of its dangers so as to be better able to protect their citizens. When asked earlier this week whether Canada would support listing asbestos in Annex III of the Rotterdam Convention, Natural Resources Minister Joe Oliver said “the question is moot”. While continuing to keep quiet on Canada’s stance, he pointed out that other countries were opposing the listing, and given the consensus procedure of the convention, this would block the listing anyways. Madhu Dutta from India, who is a member of the ROCA delegation, noted that “all hell broke loose” after the announcement, as countries were shocked by the unscrupulous move. Soon after, Canada was awarded with a ‘Cancer Culprit Award’ from CancerCulprits.org, a website of environmental and social justice organisations around the world, identifying Canada as acting like a “rogue nation”. Alexandra Caterbrow, a member of the ROCA (Rotterdam Alliance) delegation, which represents civil society at the conference, was shocked by Canada’s behavior. “These are shameful tactics” remarked Caterbrow. “It is general UN procedure to put your position on the table when the issue is on the agenda – that was yesterday morning. Only when we were about to reach consensus did Canada break its silence”. Back in Canada, many have expressed their disbelief with the Harper government’s move. The issue of listing chrysotile asbestos will come back to the plenary session tomorrow. “All eyes will be on Canada to see if the Canadian government has had a change of heart overnight,” said Ruff. Read more about the UN vote:Rotterdam Convention by the Conference of the Parties’ Fifth Meeting (COP5). Jim Willis, Joint Executive Secretary of the Basel, Stockholm, and Rotterdam Conventions, highlighted the successes of the Rotterdam Convention, including listing 40 chemicals and establishing the Chemical Review Committee (CRC) as a strong, science-based subsidiary body. Willis noted that current challenges include achieving progress on compliance, deciding how to deal with chemicals recommended by CRC but not listed in the Convention. Recommendations of CRC with regard to chrysotile asbestos is pending since 2004. He was speaking at the fifth Conference of the Parties (COP5) to the Rotterdam Convention on Prior Informed Consent (PIC) opened in Geneva, Switzerland on 20 June 2011. South Africa called for expedited discussion on establishing mechanisms to list any CRC-recommended chemicals on which the COP is unable to reach consensus, including a possible new, voluntary annex to the Convention. India noted the importance of achieving Convention objectives within the framework of sustainable development, called for development of alternatives to listed chemicals, and emphasized the importance of consensus-based decision-making. China called for consensus-based decision-making and a gradual approach to adding chemicals to Annex III. developing countries opposed this, and delegates agreed to revisit this issue at COP6. New Delhi/Kolkata 20/6/2011:Environmental groups demand listing of Chrysotile Asbestos and Endosulfan in UN List of Hazardous Chemicals List at the UN's fifth meeting of Rotterdam Convention on the Prior Informed Consent (PIC) Procedure for Certain Hazardous Chemicals and Pesticides in International Trade that commenced today in Geneva, Switzerland. India's National Human Rights Commission (NHRC) has admitted an application with regard to the same. The same is attached. Chrysotile (serpentine forms of asbestos) is being proposed to be included in the PIC procedure as an industrial chemical in the conference. Its listing is based on the final regulatory actions to ban or severely restrict its use due to its impacts on health as notified by Australia, Chile and the European Union. environment, it is banned in at least 60 countries including the European Union, Australia and New Zealand, and other Asian and West African nations, and is being phased out in Brazil, China and the United States. However it is still used in many other countries on commercially important crops, such as coffee and tea. The application submitted that Canadian government which exports chrysotile asbestos to India has removed it from Canadian Parliament and its Prime Minister's Home. India has technically banned mining of asbestos (including chrysotile) but allows import, manufacture and use of asbestos based products which are proven to be deadly! Earlier, NHRC has categorically observed that "...endosulfan has been banned in over 60 countries including all the major industrial nations, not because it was an inefficient pesticide, but because independent studies there had confirmed that its commercial utility was far outweighed by the great harm it caused to human health, to flora and fauna, and to the environment. The governments of these countries, therefore, put the right to health of their citizens, the lives of future generations and the protection of the environment above the commercial interests of the producers and users of endosulfan” in its order dated 31st December, 2010. This creates a rationale for Government of India to support listing of Endosulfan in the UN's hazardous chemicals and pesticides list. It may be noted that Kerala State Human Rights Commission has recommended ban on use of asbestos roofs for schools and hospitals. In view of the above, NHRC has been approached to recommend to Government of India to support listing of chrysotile asbestos in the UN list of hazardous chemicals. conference will consider measures to strengthen implementation of the globe’s first line of defence for chemical safety. The conference will consider decisions on, adding chrysotile asbestos, endosulfan, alachlor and aldicarb to the Convention’s Annex III, triggering the exchange of information between Governments on permissible importation and use of these hazardous chemicals and pesticides. There are 40 other chemicals and severely hazardous pesticide formulations already listed in Annex III. Parties to the Rotterdam Convention will review progress on cooperation with the World Trade Organization (WTO) and follow up on the work of the Committee on Trade and Environment in Special Session (CTESS) and the Committee on Trade and Environment (CTE) between the Secretariat and the World Trade Organization. between the three global chemicals and waste agreements. An identical decision will be considered by Rotterdam Convention’s parties at this meeting, and by the Basel Conventions parties at the latter instrument’s 10th Conference of the Parties, meeting in Cartegena, Colombia, in October, 2011. The UN's fifth meeting of Rotterdam Convention will conclude on 24th June, 2011.